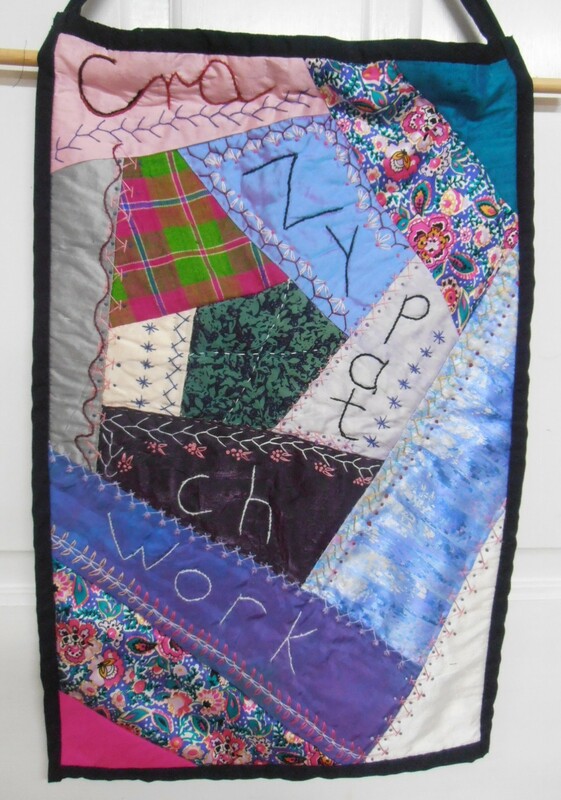 This wallhanging was made by Rosie in the crazy patchwork style. The wide variety of colours, patterns and textures make this hanging very eyecatching. I love the stitching.